A design student, a robot and two little devils. NOTICE! The summer project is underway! 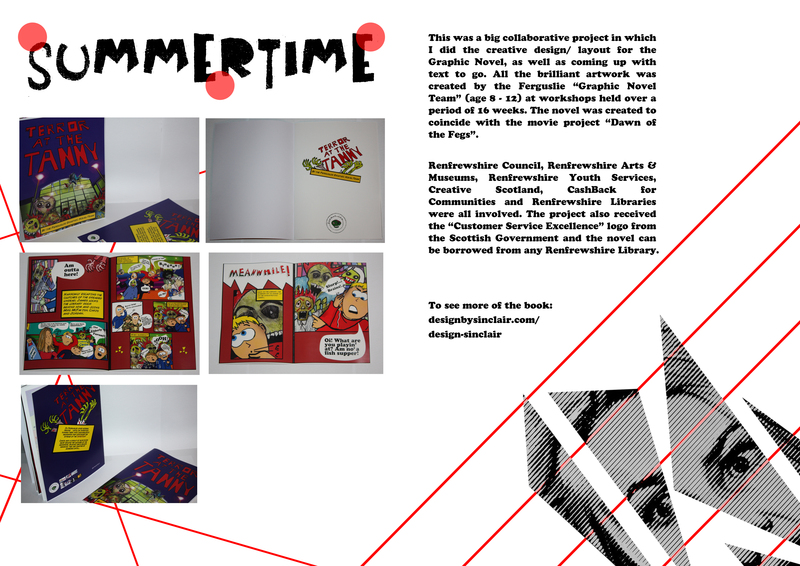 So the style for my uni summer project – a magazine – is starting to take shape! 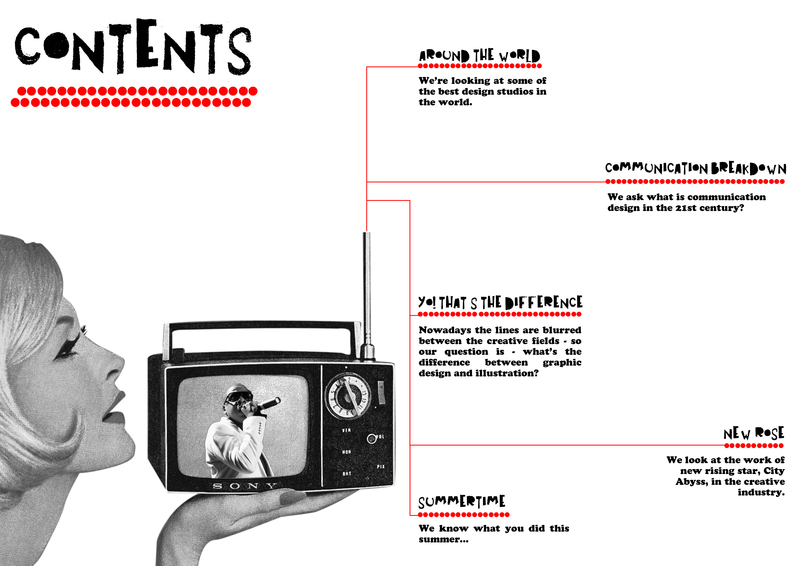 What is ‘communication design’ in the 21st Century? An article of your own choosing – but design related. 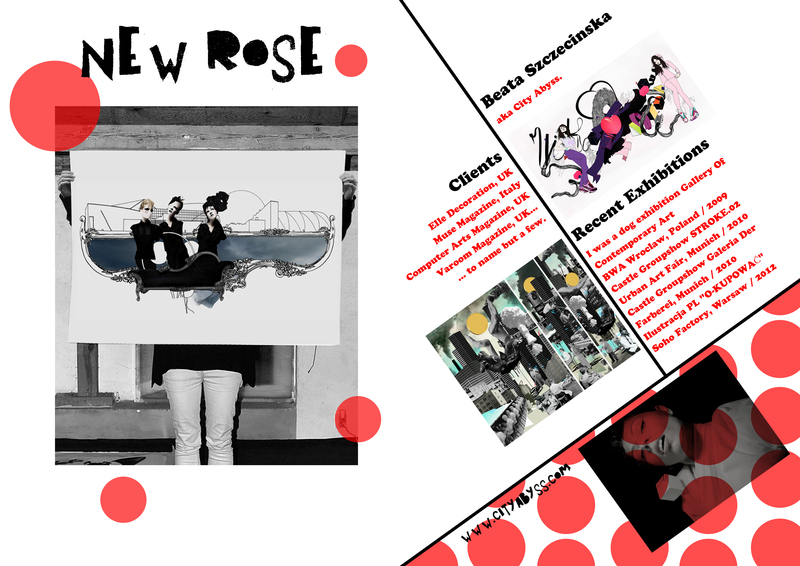 So – my articles are, 1st – About the best design studios in the world right now (like a top ten sorta thing), 2nd article is obviously “What is ‘communication design’ in the 21st, Century?”, 3rd *article of my own choosing* What is the difference between graphic design and illustration in the 21st century? – and the 4th article is about my favourite designer right now, City Abyss. We also need to have a double page spread about what we did this summer (see previous blog) and it has to be a minimum of ten pages – 5 spreads. 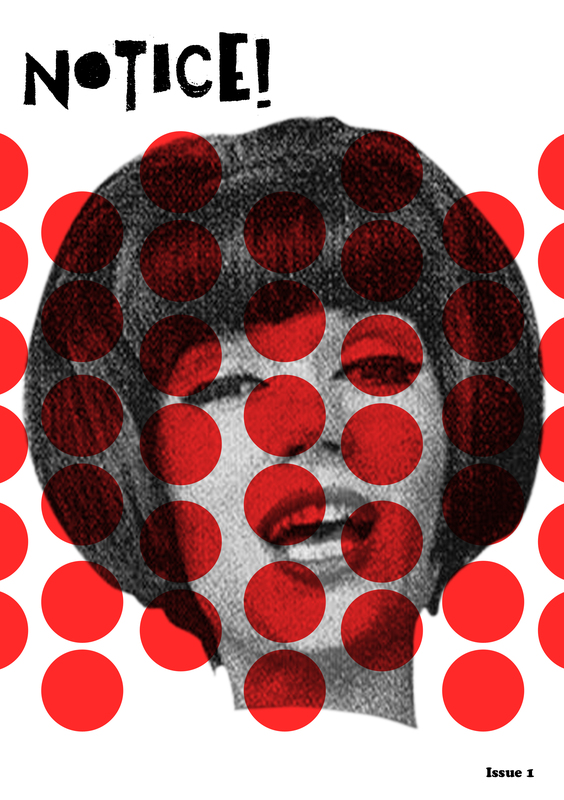 So I’ve decided that my mag is going to be about issues in the 21st cent’ creative world, as well as each week having an article about a new rising star in the creative industry – but on a retro platform, think 40s – 60s mish mashed with new stuff! It’s called “Notice!” because we’re taking notice of the newcomers! Here’s the front cover, contents page, summertime page and newcomer page. You may notice that the names of each article are based on a song title or a particular lyric. In this case, Daft Punk, Led Zepplin, Dr Dre, The Damned and Porgy & Bess. This entry was posted in art, design, graphic design, illustration, Vintage and tagged Art, design, Graphic Design, illustration, vintage by graphicdesignandstuff. Bookmark the permalink. Woah this blog is fantastic i love studying your articles. Stay up the great paintings! You know, many people are hunting round for this info, you can help them greatly.